Rising costs of healthcare has been a major cause of concern for the middle class and economically backward sections of the society. Medical emergencies always come unwarranted and cause a havoc. Apart from the physical discomfort, they also cause major financial stress. Meeting the expenses for simple treatments can also be a nightmare for a lot of people. To deal with such problems, the government of India has launched several programmes. In the state level, the Chhattisgarh government has also taken major steps to make healthcare affordable for the people, especially the economically backward sections of the society. The Mukhyamantri Swasthay Bima Yojana or MSBY is one such step that targets to provide health insurance cover to all the families in the district. 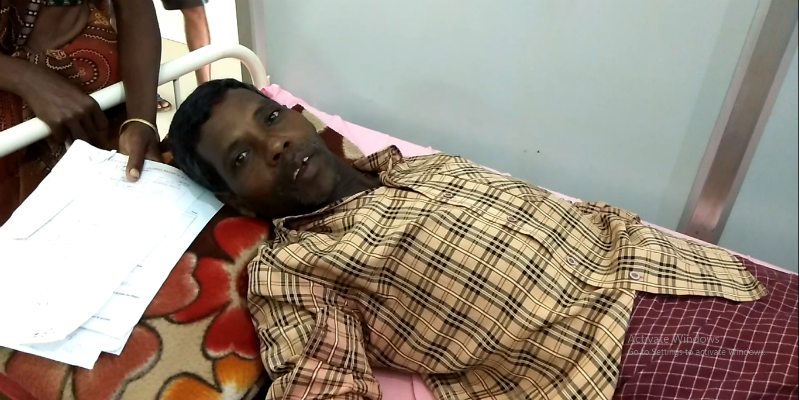 Bipna Ram of Jashpur district in Chhattisgarh was not convinced when he was told by the administration officials to get enrolled in the Mukhyamanti Swasthya Bima Yojana or MSBY. A lot of people in his neighborhood got enrolled and got a smart card. But Bipna Ram thought it was a futile exercise and just a wastage of time. However, he started to notice that the smart card was actually proving to be helpful. He noticed that people having a smart card did not have to pay for their medical expenses which was a major relief. “I had not taken the card and I realized it was a mistake when I saw others. Those with the smart card were getting free medical treatments while I had to pay for everything. Anyone falling ill in the family was a big headache for me. This made me realized I need a smart card too.” Says Bipna. Bipna is now enrolled in the MSBY scheme and his family is among the 2,13,000 families in Jashpur district who are getting the benefits of the scheme. Jashpur has the highest percentage of families under health insurance cover in entire Chhattisgarh. Just after getting the card Bipna fell ill and had to be hospitalized. His entire treatment was free because of the smart card. “I would have to sell my goats and parts of land to meet these expenses. The smart card saved me, I am glad I had enrolled for the scheme at the right time. Otherwise it would have been a disaster for me.” Says Bipna Ram. Bipna is a farmer and his income enables him to somehow meet both ends meet but any unforeseen expense is enough to cause a lot of concern. Anyone falling ill in the family was a nightmare for him. However, it is not a cause of concern anymore. The medical expenses have been taken care of by the MSBY. The health insurance smart card has changed the lives of a lot of people like Bipna Ram in Jashpur and entire Chhattisgarh. Jashpur being a bordering district has close proximity to Ranchi, the capital of Jharkhand. Therefore, hospitals in Ranchi have also been included in the MSBY and the people can avail the MSBY facilities in those hospitals too.